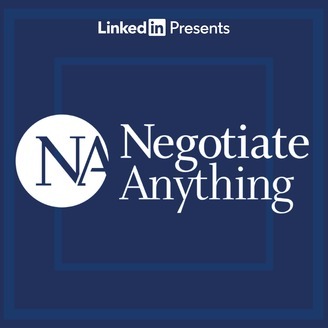 This is the top ranked negotiation podcast in the world. You’ll discover how to make difficult conversations easier while getting more of what you want in the process. You'll hear interviews from successful business professionals and thought leaders and discover how they use these skills to advance their businesses and careers. In our sparring sessions, I go head-to-head with our guests in a mock negotiation to give the audience an example of how these techniques can be implemented when dealing with difficult people. We don't just talk about what works, we talk about why it works by uncovering the psychological principles that undergird these techniques. The podcast is as fun as it is informative. Our goal is to increase the competence and confidence of our listeners to empower them to get what they want and deserve out of life, both personally and professionally. 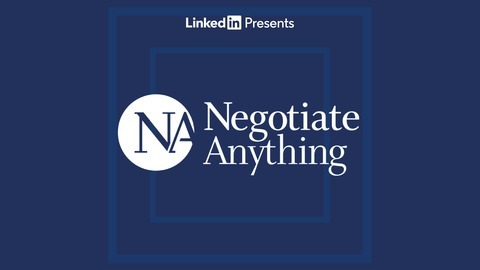 (Formerly Negotiation for Entrepreneurs) Keywords: negotiation, negotiate, persuasion, influence, leadership, psychology, sales, compassionate curiosity, mindful, mindfulness, emotions, self awareness, emotional intelligence, career, interviews, informational interviews, job search, job readiness, networking, discounts, conflict, difficult people, psychology, emotion, emotions, argue, argument, debate, negotiation, negotiate, influence, persuasion, leadership, entrepreneurship, small business, salary, sales, law, lawyer, law school, mba, human resources, HR, employee, employees, procurement, procure, procured, procures, supply chain, law, lawyer, lawyers, attorney, real estate, realtor, realtors, real estate agent, contract manager, contract negotiation, contracts, mediation, dispute resolution, arbitration, legal, corporate, deal, deals, deal making, dealmaking. Online Course Announcement & Workshops in Miami, Los Angeles, and Columbus!